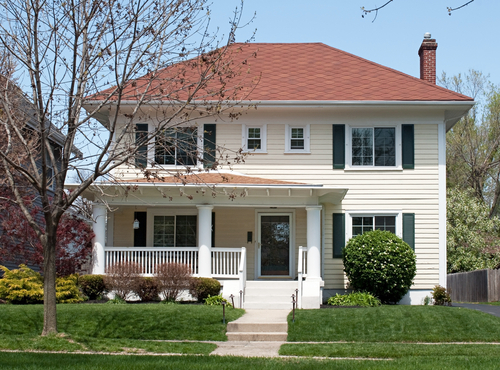 Are You Considering Term Life Insurance to Protect Your Home Mortgage Loan? Many Americans hope for the day they own their own home. If just may be the single biggest investment of your life. But, it also depends on a steady income to pay your mortgage each month. If something happens to one, or to both income-earners in your family, it may be difficult to pay your mortgage. How Would Your Family Get By? Buying a level term life insurance policy can provide your family with the money they need to make the mortgage payments, if you're no longer alive to provide for them. If you die, your family might not be able to pay the mortgage. With a level term life policy, the death benefit would provide the money needed for your family to pay the mortgage, and remain in the home in which they created so many memories with you. There is mortgage protection insurance, but many people choose term life insurance instead. It’s a type of temporary life insurance plan used to protect your family and allow them to stay in your home should you pass away. The death benefit paid out on your mortgage term life policy can be used by your family to pay off the outstanding loan on your mortgage, so they can remain in the home they shared with you. How Does Mortgage Term Insurance Work? With a term policy to protect your mortgage you select the amount of insurance that will match how much you owe on your home mortgage loan. You also select a term (duration) of coverage that matches the length of your mortgage loan – usually either 15, 20 or 30 years. That way, should you pass away before your loan is repaid, your life insurance will provide your family with the funds needed to pay off the mortgage, and stay in your home. A common approach to providing money to pay off a mortgage in if you die is to buy term life insurance. Term insurance offers you much lower premiums, but the amount of life insurance protection doesn't decrease over time, as it usually does with mortgage protection insurance. That's a big benefit for your family. Mortgage protection insurance pays off the mortgage holder (bank) upon your death. Whereas, a mortgage term life plan pays out the death benefit to the beneficiary you choose – your family member, and that person can use the money as needed.